Welcome to beautiful Big Long Lake! These owners had the home built by Lynn Delagrange in 2003. 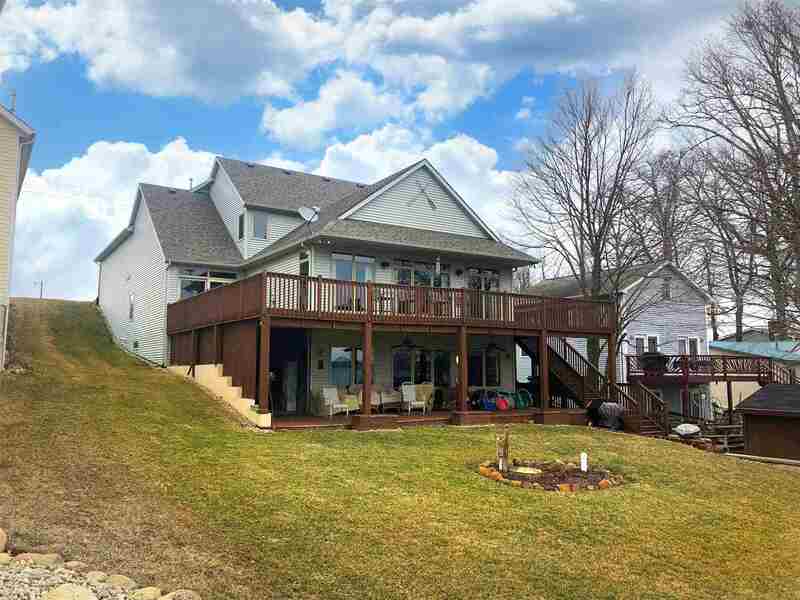 This solid home offers a view down the entire 3 mile stretch of the lake facing SE and offering gorgeous sunrises. The design was well thought out with a Jack and Jill layout in the upper level including 2 large bedrooms, each with their own private vanity and window with a view! On the main level is a custom kitchen with Hickory cabinetry and quartz countertops. The kitchen opens up to the dining and living areas surrounded by windows and on the side wall a gas fireplace. Also on the main level is an office/den room, laundry room, walk in pantry, as well as a very spacious master suite. The walk out basement offers a second living room area, another full kitchen & laundry room, as well as a large bunk room. Everyone at the lake needs a workshop area. Off the side of the walk out is a separate entrance to an 11 x 23 heated workshop for all your fixing and storage needs. 9&apos; ceilings on each level, wrap around deck with roofing under the deck. This home is one that you need to see in person to soak in all that it has to offer. What an opportunity!